Design your own pattern with 30 individual dots, or apply as one solid sheet! The Grayne Dots Stomp Pad is made with the space age adhesives that are specifically designed to function in snowboarding conditions, meaning whether you choose to apply as a sheet or as individual dots, these wont be falling off your board! 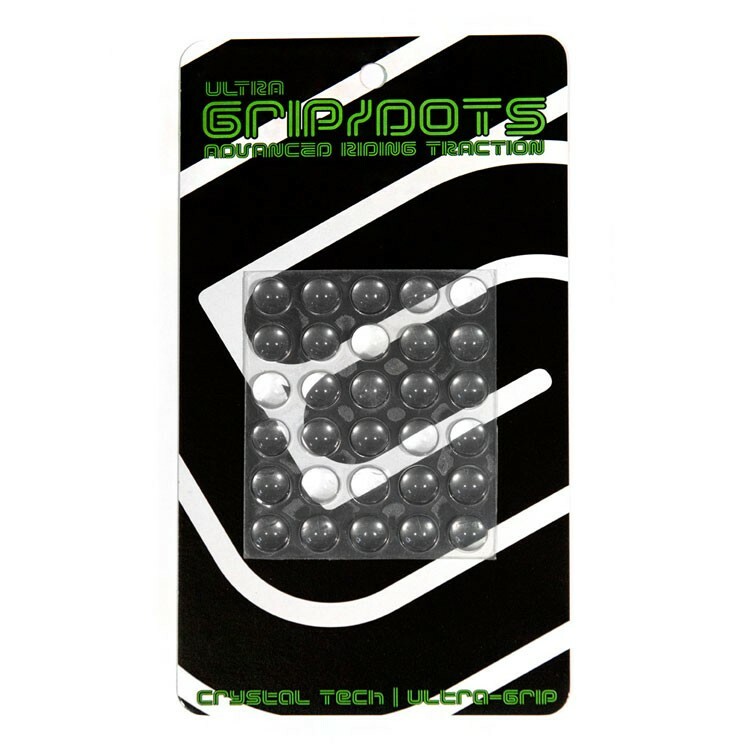 The individual dots and clear “Crystal Tech” allow you to have the highest performing stomp without disrupting the graphic of your snowboard too. Whether you're looking for board control getting off the lifts or trying to stomp some one footers in the park, this stomp will provide the ultimate traction! Grayne stomp pads are bringing the latest and greatest tech to even the smallest part of your set up. It's time to dial in your riding and Grayne is here to help!